Garou: Mark of the Wolves (game, 1999). A 1999 fighting video game by Hamster. Developed by DotEmu, CODE MYSTICS, SNK Playmore, SNK, SNK Playmore, Code Mystics Inc., SNK, SNK Corporation. Official Trailer. Garou: Mark of the Wolves is a 1999 fighting video game by Hamster, developed by SNK Playmore, Code Mystics Inc., SNK, SNK Corporation, SNK Playmore, SNK, CODE MYSTICS and DotEmu. 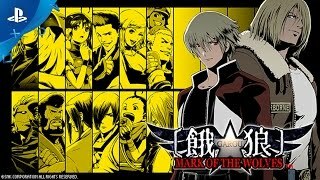 GAROU: MARK OF THE WOLVES - PlayStation Experience 2016: Launch Trailer | PS4, PS Vita. Ten years after crime lord Geese Howard's death, the city of Southtown has become more peaceful leading it to be known as the Second Southtown (having formerly been corrupted by Geese). A new fighting tournament called "King of Fighters: Maximum Mayhem" starts in the area, and several characters related with the fighters from the previous King of Fighters tournaments participate within it. The two-plane system in which characters would fight from two different planes was removed from the game. The game introduces the "Tactical Offense Position" (T.O.P.) which is a special area on the life gauge. When the gauge reaches this area, the character enters the T.O.P. mode, granting the player character the ability to use T.O.P. attack, gradual life recovery, and increased attack damage. The game also introduced the "Just Defend" system, which rewards players who successfully block an attack at the last moment with a small amount of health recovery and the ability to immediately counterattack out of block stun. (Just Defend was later added as a feature of K-Groove in Capcom's Capcom vs. SNK 2.) Similar to previous titles, players are given a fighting rank after every round. If the players manages to win all rounds from the Arcade Mode with at least a rank of "AAA", the player will face the boss Kain R. Heinlein, which unlocks an ending once defeating him. If the requirements are not met, then Grant will be the final boss and there will not be a special ending. Additionally, through Arcade Mode, before facing Grant, the player will face a mid-boss which can be any character from the cast depending on the character the player uses. 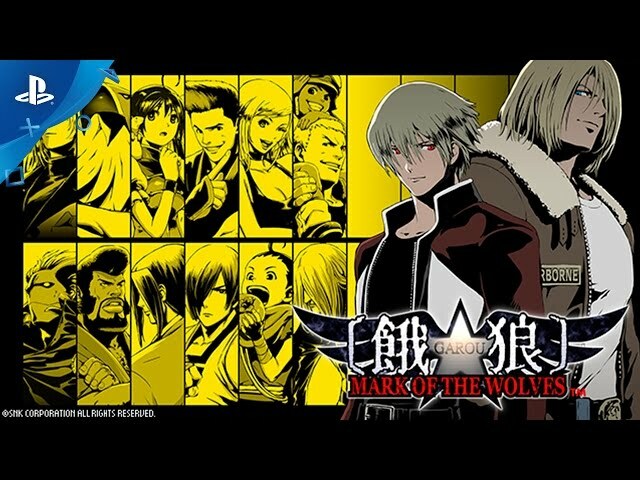 Garou: Mark of the Wolves was scheduled to be released by Hamster on November 26, 1999, on February 25, 2000, on September 27, 2001, on November 23, 2001, on June 30, 2005, on June 24, 2009, on February 19, 2015, on July 15, 2015, on December 3, 2016, on December 6, 2016, on December 7, 2016, on May 11, 2017 and on August 16, 2018. This video game is available for the following platforms: Arcade, Neo Geo, Dreamcast, PlayStation 2, Xbox 360, Xbox One, iOS, Android, PlayStation 4, PlayStation Vita, Microsoft Windows, Nintendo Switch.